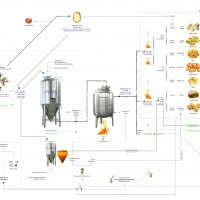 Local production of food, electricity, and material through the use of microbial technologies. 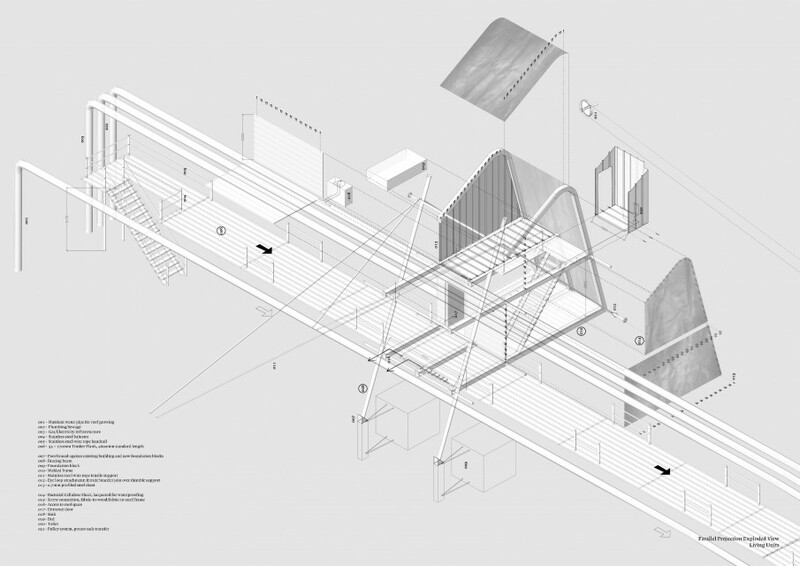 The architectural proposal is to re-localise production – that of food, electricity, and material – on site through the use of microbial technologies. 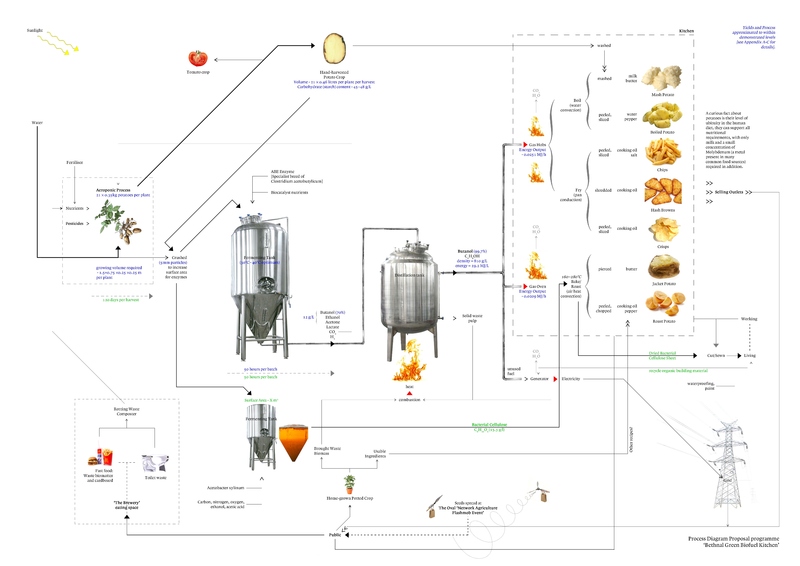 Applying fermenting and distillation process in a novel cyclical self-supporting way. 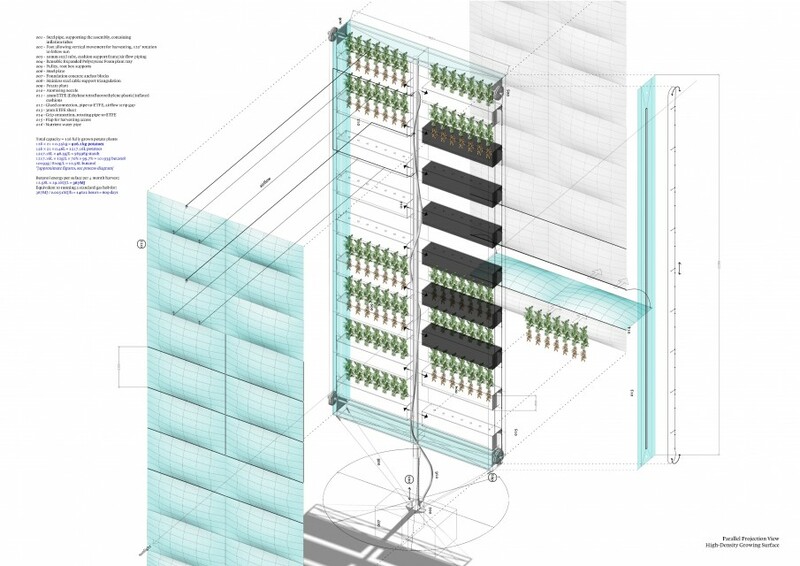 a) A vertical aeroponic surface, growing potatoes. b) Accommodation units, integrated with the existing buildings, and cladded with my experimental material, bacterial cellulose. c) Biofuel/bacterial cellulose production tanks and drying tower – incorporating kitchens, a public experience and selling outlets. Aeroponic-grown potato biobutanol will power the kitchen space, and specialist microbes will produce material to clad parts of the buildings. This 'bacterial cellulose' sheet material is fermented from the potatoes, dried in the chimney heat, and used to clad the frames of the accommodation units. It ends up like a sort of leather, with a semi-translucent quality. The natural circulation created in the chimney by the heat of the cooking processes is useful for potato storage, along with its darkness and high humidity. The flow of people encourages community as well as individual experimentation with potato cultivation. 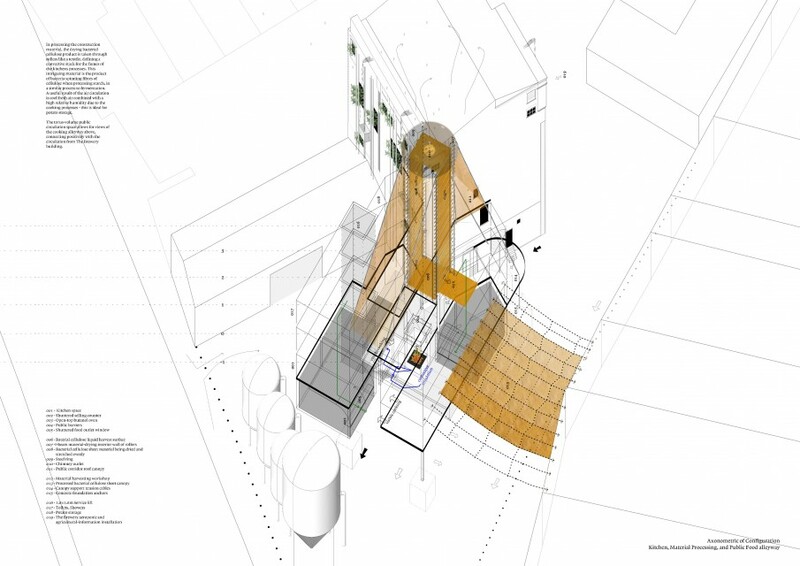 Configuration of public space, cooking, selling food and drying chimney.